The village of Apollona is inhabited by aprox. 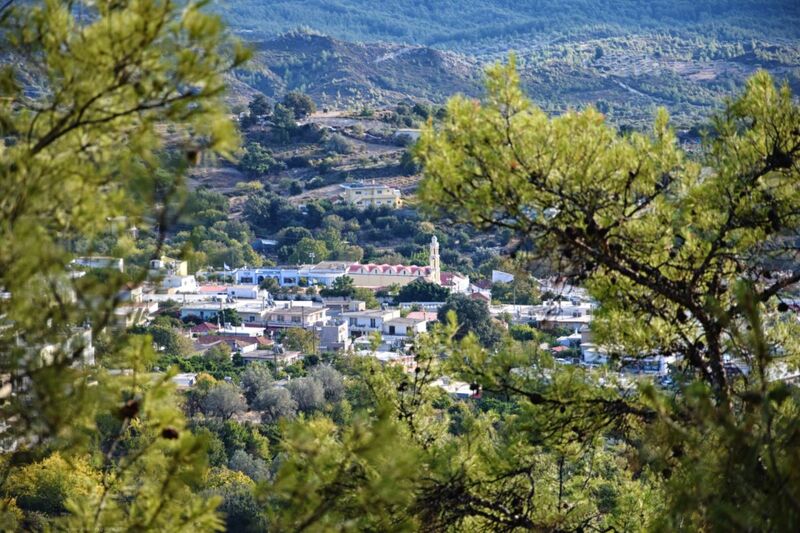 1000 residents and has a rich vegetation with more than 70.000 acres of land and, which results in the majority of people in the community dealing mainly with the cultivation of olive trees. 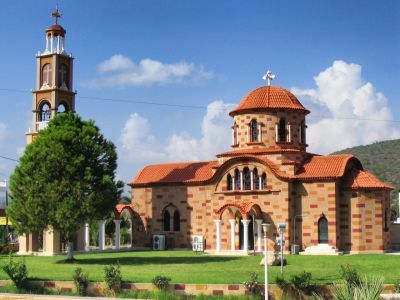 The cathedral temple of the village, with a vast history splendid hagiographies, memoirs of the saints and its pebbled courtyard, celebrate one of the biggest festivals on the island on the 14th September, honoring the Holy Cross (Stavrós). The folkloric museum of Apollona has is one of the most remarkable ones of its kind on the island. A wide range of domestic utensils, rural tools and impressive ancient objects such as an old olive press, sarcophagi and medieval burial stones are but some of the many and as interesting its most important exhibits. 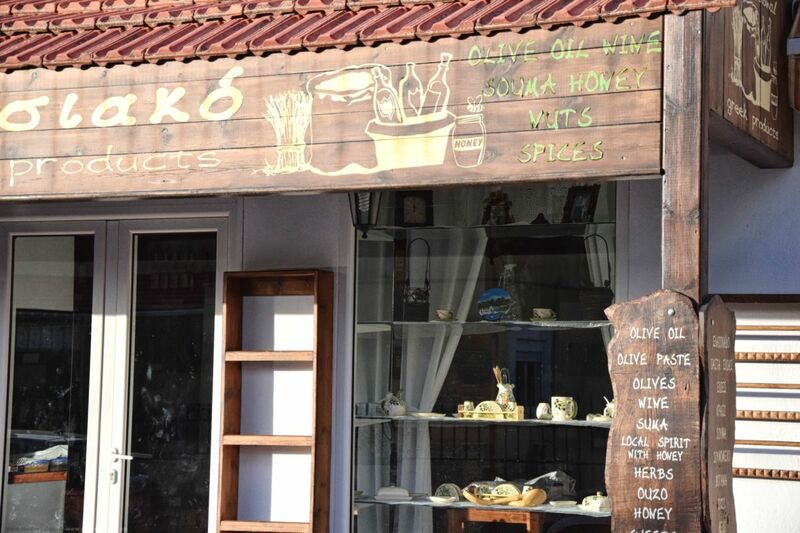 Other exhibits include traditional women's costumes whilst local women sell products such as embroideries, food specialties, sweets and bread. The waters owe their deep emerald colour to the kush green vegetation which surrounds the beach. 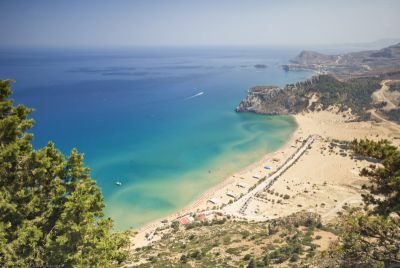 The beach at Anthony Quinn bay is one of the most beautiful beaches on Rhodes. Agathonisi is the north most islet of the Dodecanese island complex with a quite impressive coastal configuration and many beautiful windless bays. 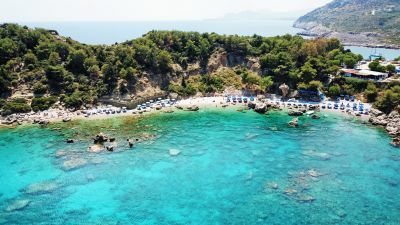 The island of Agathonisi was named Yetousa in ancient times. According to contemporary researches today's name is the result of a etymological mistake from the plant from which the name is derived 'Agkathonisi' ie. Island of the Thorns.